I will start off by stating that we absolutely love Portugal. We spent 4 weeks in Portugal and loved every spot we visited around the country. We liked it so much that we planned a trip to return to Porto and a stay in Lisbon later in at the same year. Let me show you why! There are so many reasons to visit Portugal. 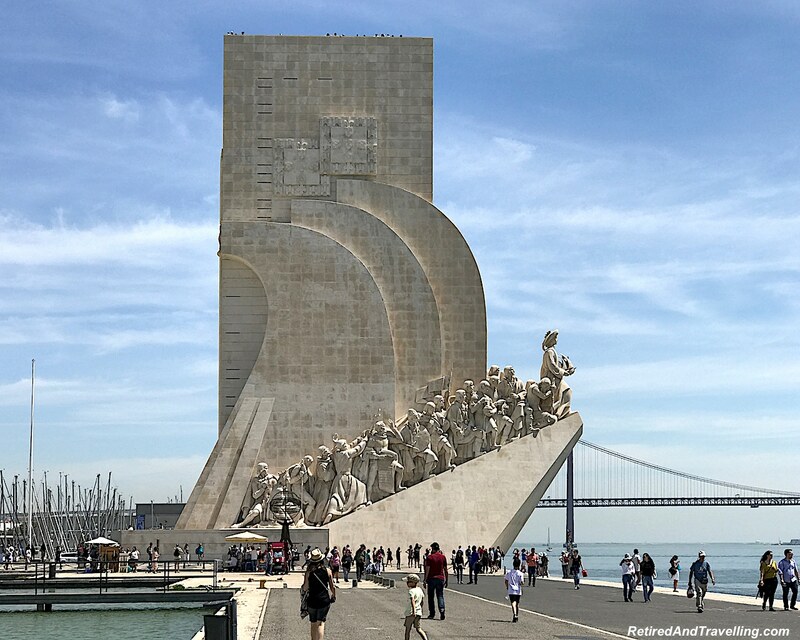 We found iconic sights that signal Portugal. Beautiful buildings inside and out greeted us. Majestic natural beauty kept us outside. And the food and drink ensured we were always full! There are many iconic sites to visit in Portugal. We walked down the main street in Lisbon. At the top we admired the statue to the Marques de Pombal. 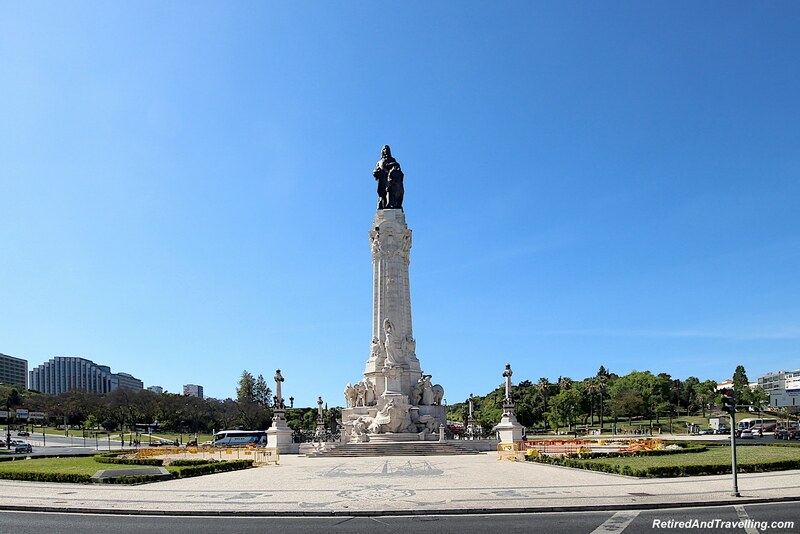 He played a major role in rebuilding Lisbon after the city was levelled by an earthquake in 1755. By the water we found the Praia do Commercio with the statue of Jose I and the Rua Augusta Arch. 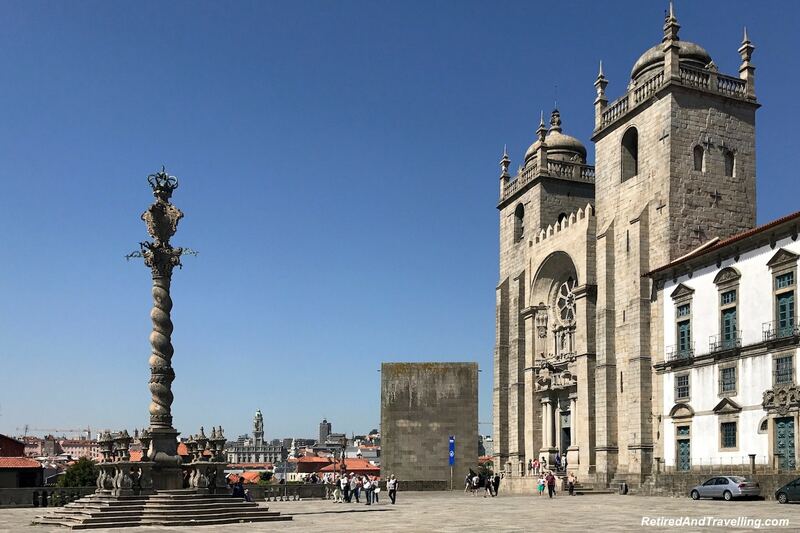 In Lisbon, a walk in the Belem area gave us a view of the Belem Tower, the Monument of Discoveries and the stunning Jeronimo Monastery. In Porto, the churches dominated the skyline. From high in the city, we saw the iconic view of the river and the six bridges that cross it. 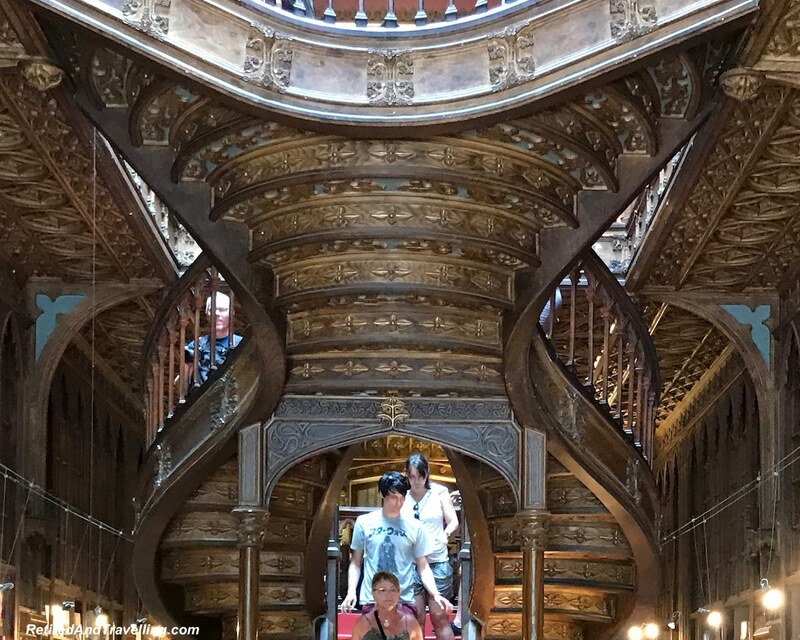 If you are a Harry Potter fan, you can visit Livraria Lello and Irmão. We saw the staircase that inspired the magic staircase in the books. 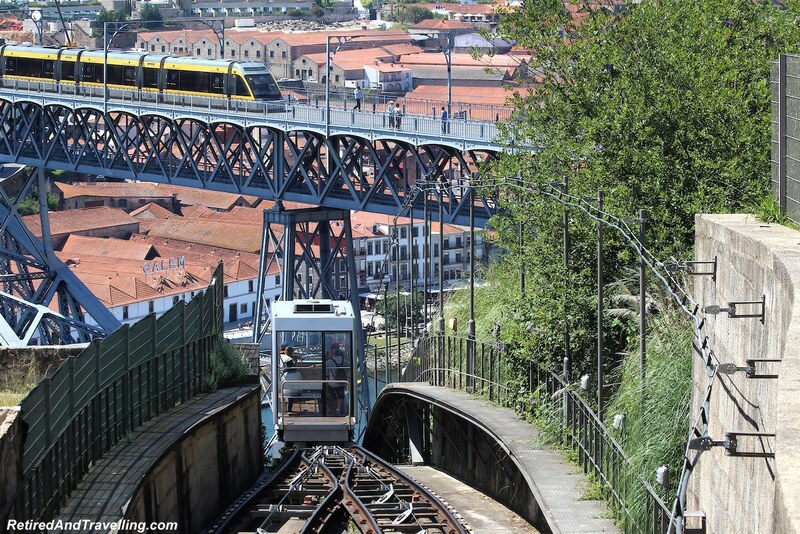 Of course, you can’t forget the view of trams that travel through the cities and up the many hills. 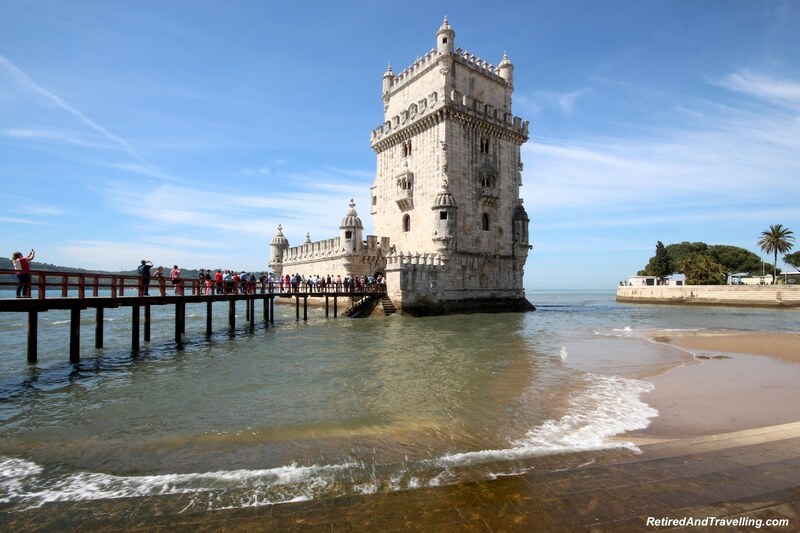 Seeing the iconic sights is one of the main reasons to visit Portugal. We love to see places from different perspectives. Sometimes it means going high for a panoramic view. It may mean moving off of land. It always means exploring a place at night after seeing it during the day. The towns in Portugal all seemed to be hill towns. 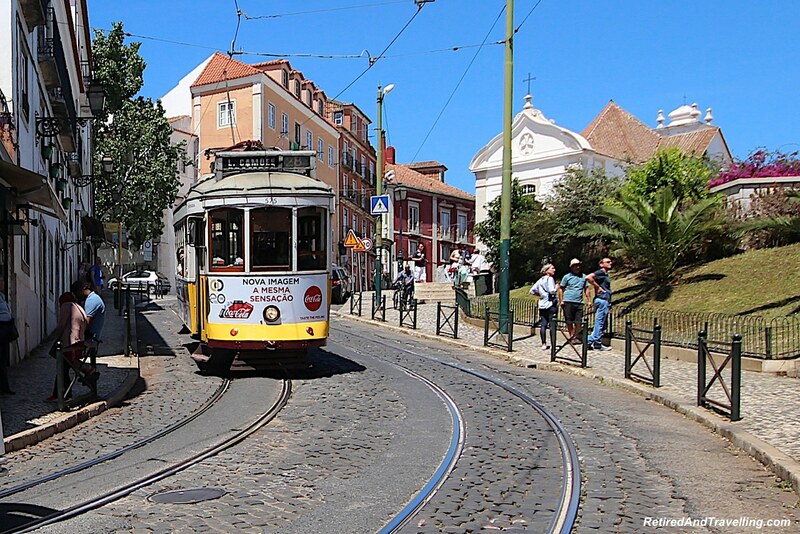 Lisbon is known for the 7 hills that ring the city. 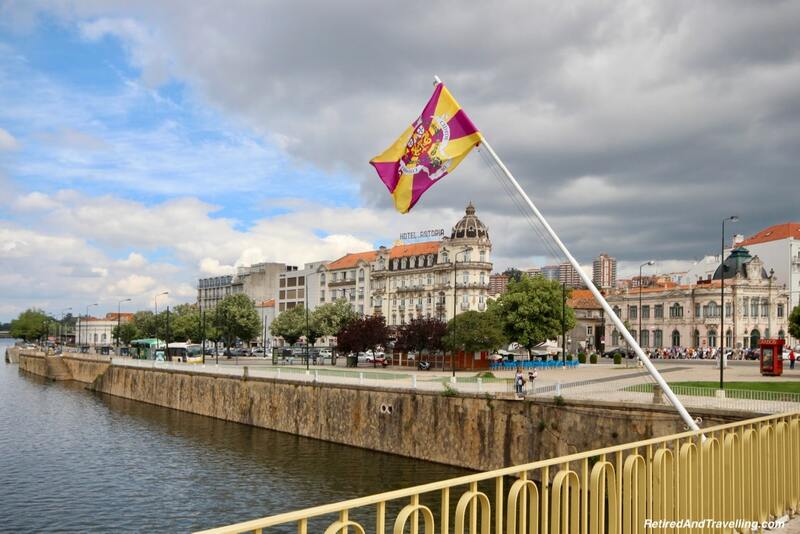 Porto had an upper city and a lower river area. We walked the hills and stairs. And we found ways to get up and down the hills while we got a panoramic view. 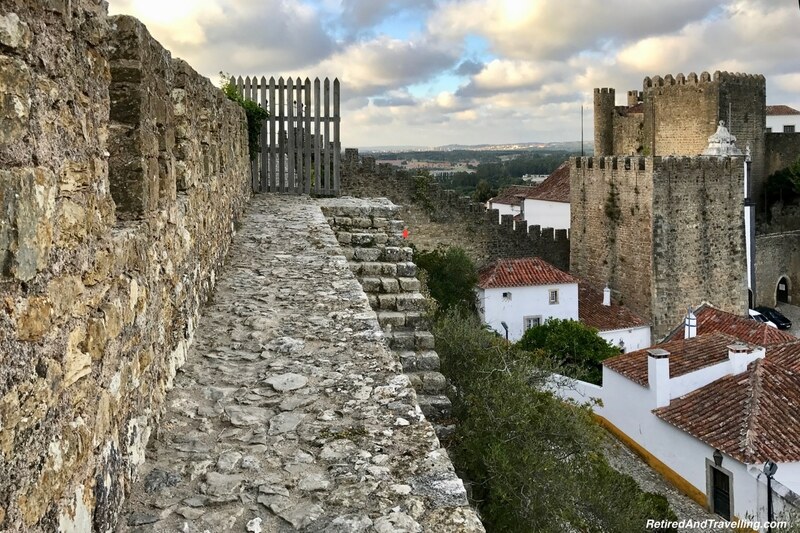 When we spent a few days inside the small walled city of Obidos, we braved a walk on the top of the town walls. It was a narrow path. But that did not stop us from climbing rough, uneven steps to the top. And when you go high in Portugal, you will get the most awesome views. Much of Portugal is also located on the water. River tours were available in virtually all of the water-side towns that we visited. 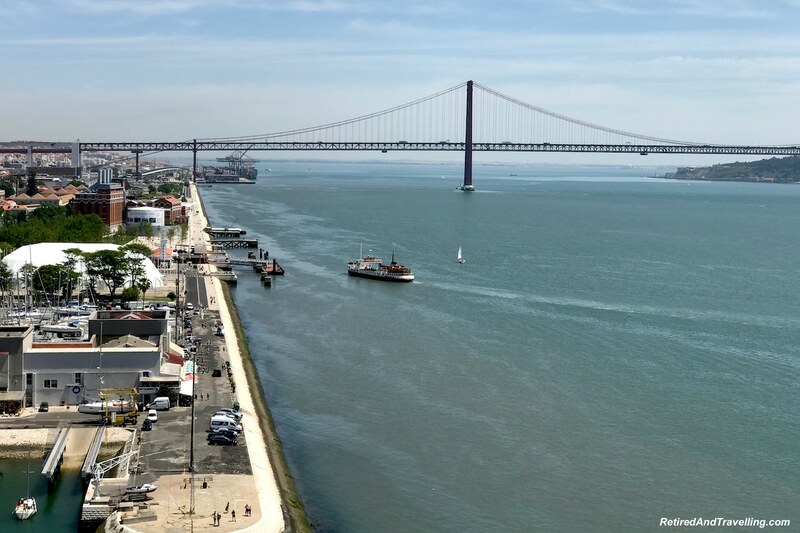 In Lisbon you can see the sights from the Tagus River. 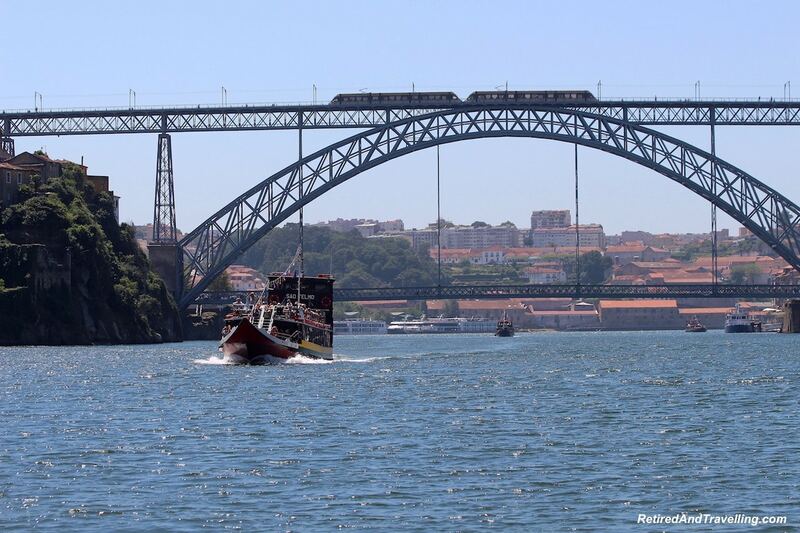 When we visited Porto, a river cruise took us under the six bridges over the river. 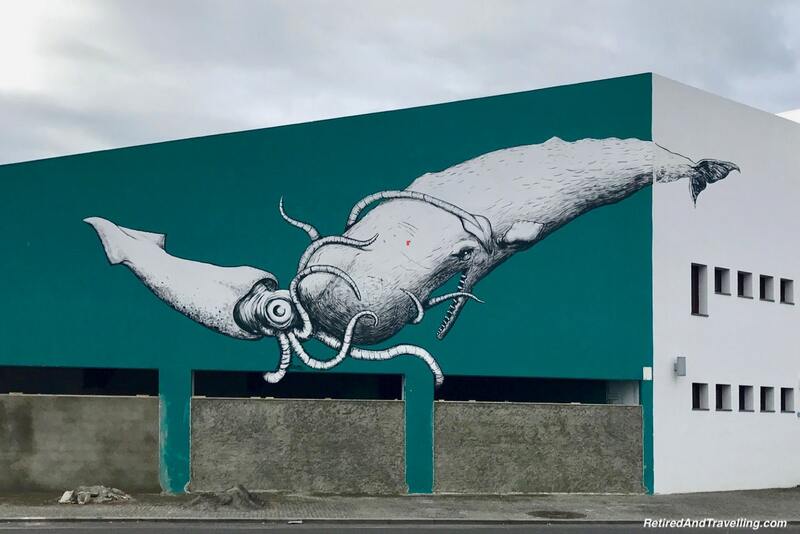 In the Azores, we hit the water in search of whales. Cities sparkle at night. While a view during the day may be interesting, at night it is quite different. 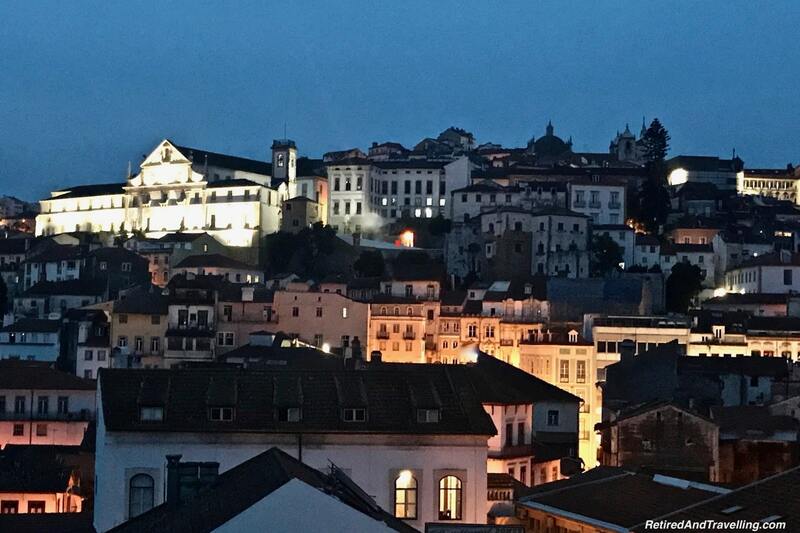 When we visited the small university town of Coimbra, the university on the hill lit up at night. 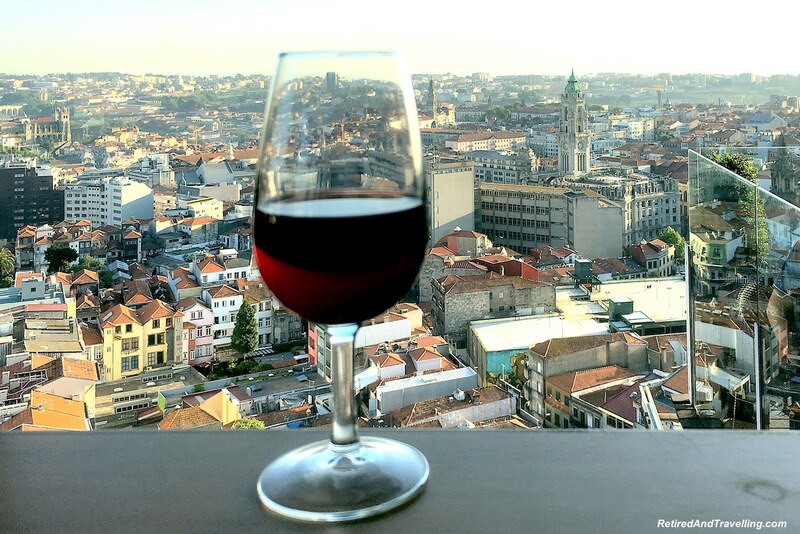 Get a different perspective on a town and cities to add more reasons to visit Portugal. We found beautiful Portuguese tile work everywhere we visited. 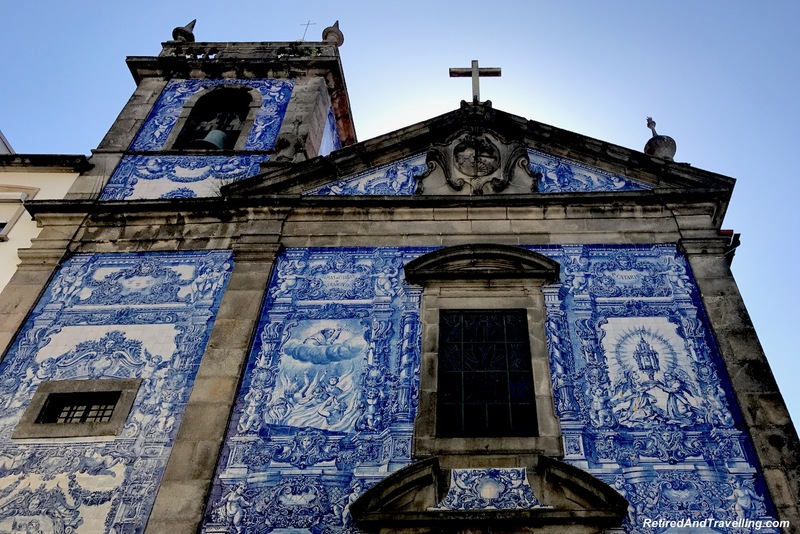 In Porto the tiles decorated the outside of churches. The inside of the Sao Bento church in Porto was filled with tile murals. 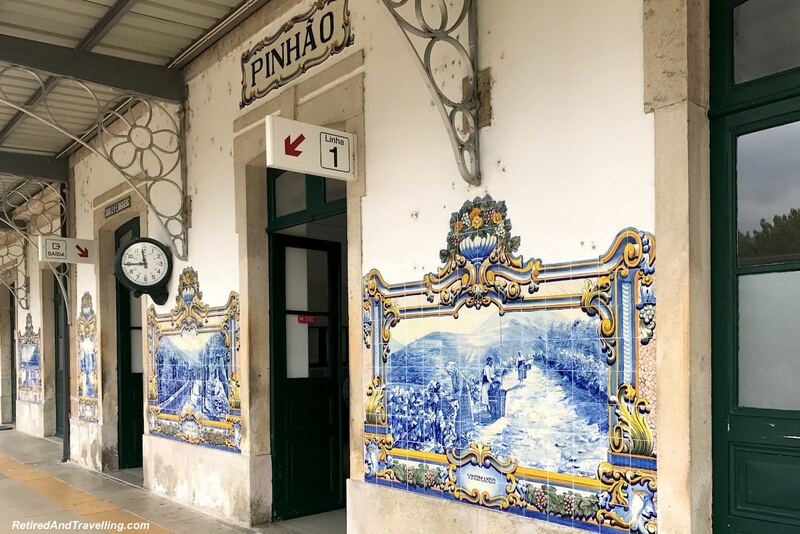 We even found tile work decorating the train station when we travelled up into the Douro River Valley. 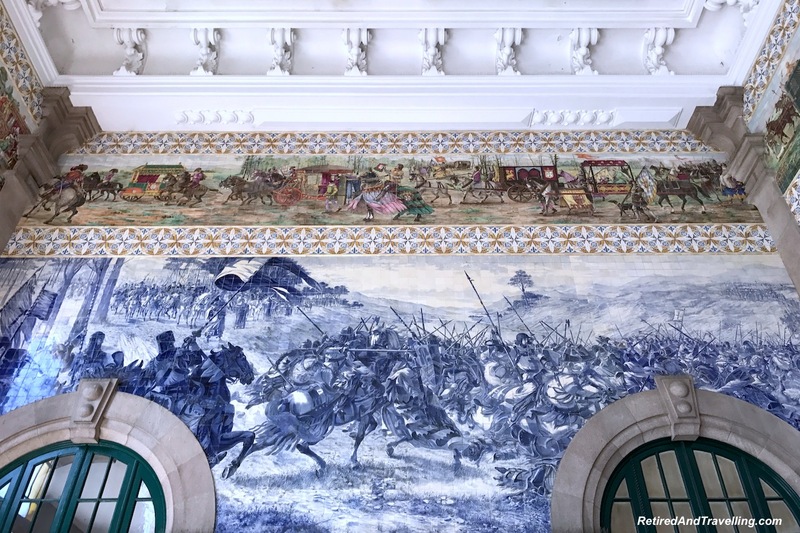 Small towns like Nazaré and Obidos even decorated their buildings with tiles. The tile work was beautiful, but the inside of churches in Portugal were intricate gilt masterpieces. 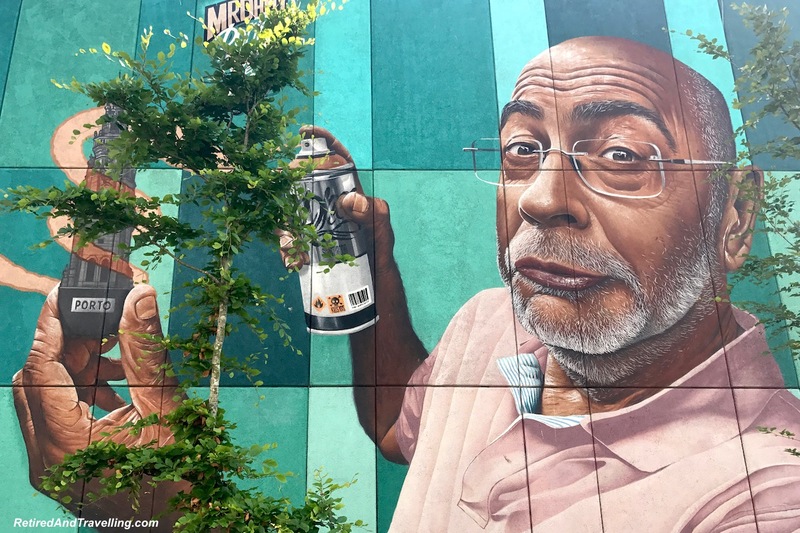 Interesting building designs and street art made walking in many cities a delight. 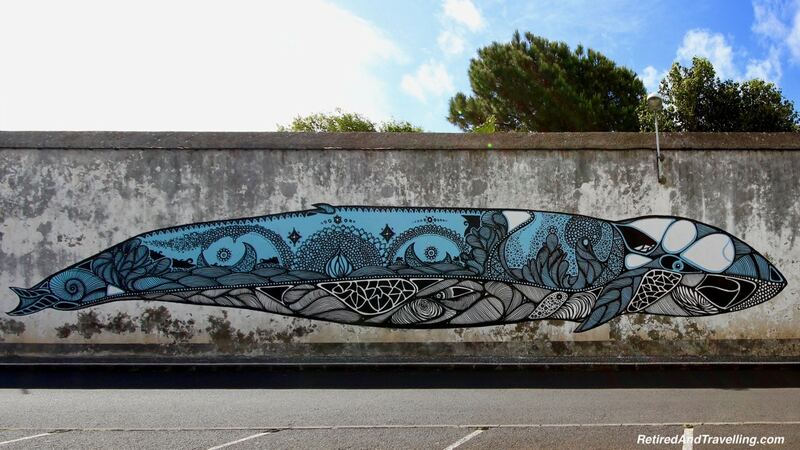 In the Azores, we found lots of street art that spoke to the whale watching history in the islands. When we headed into the country, we found more beautiful sights. 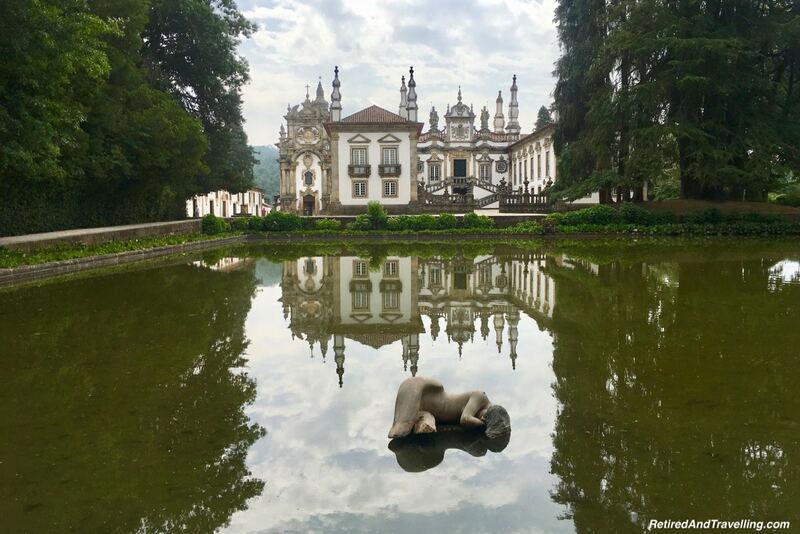 We toured the Mateus Palace on our visit to the Douro River Valley. The palace and gardens were a tribute to days gone by. 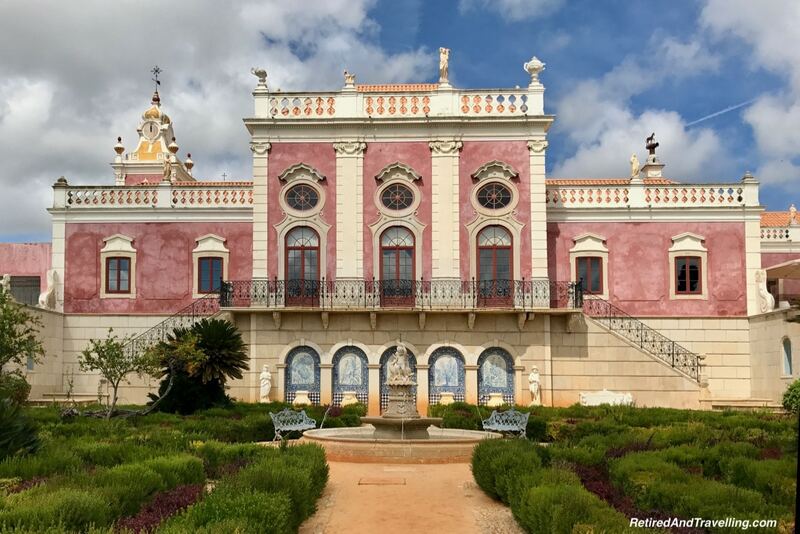 When we headed south to the Algarve, we stayed in a Pousada that used to be a palace. 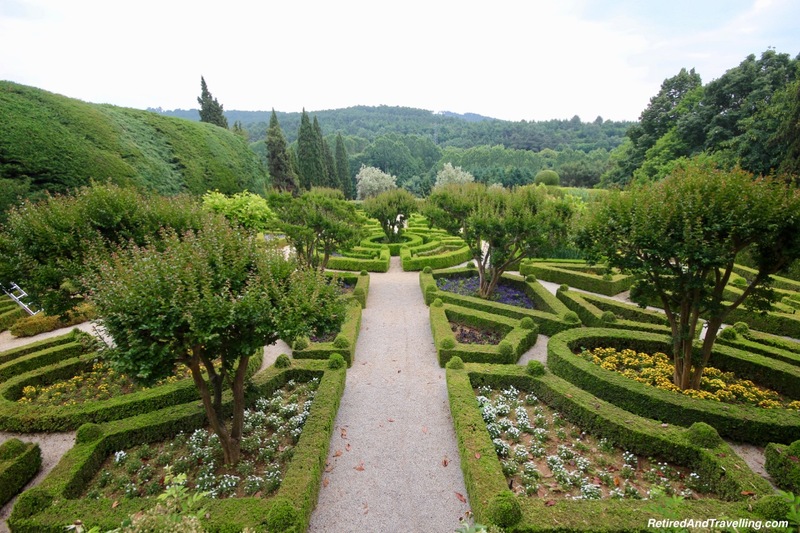 The common areas and gardens had been restored to their former glory. But the rooms were modern and tasteful. 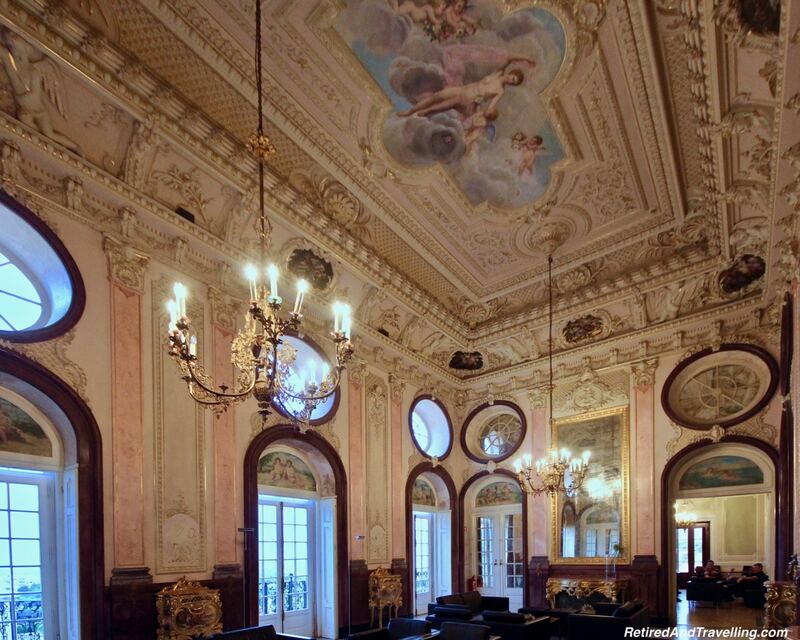 A perfect place to feel like royalty for a few days. 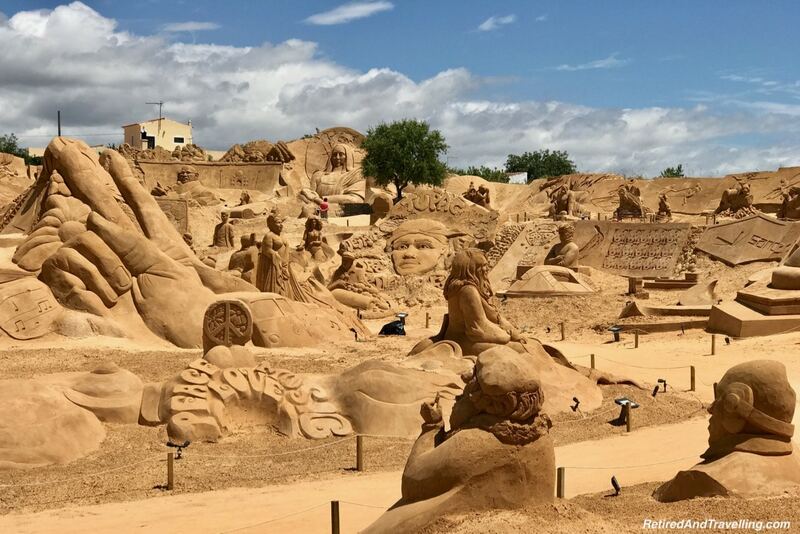 A side trip one day when we stayed in the Algarve let us discover a truly massive sand art display. 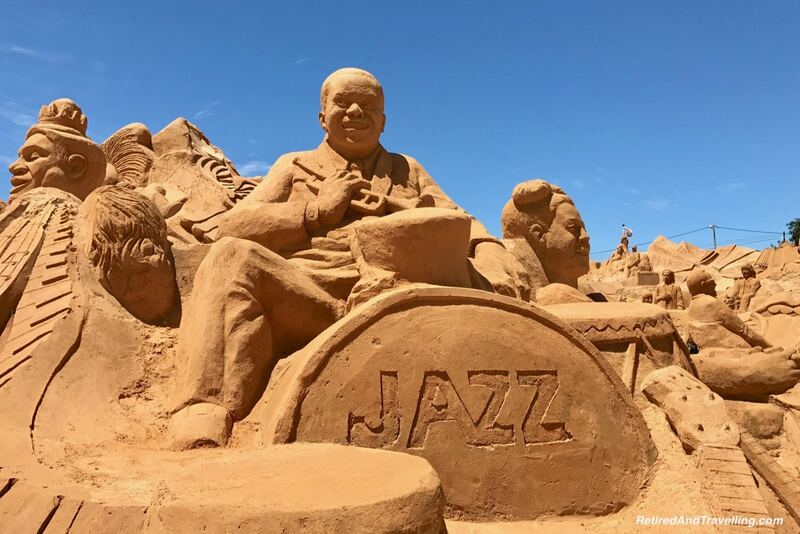 There were hundreds of intricate sand sculptures to admire. The beautiful sights to see are one of the reasons to visit Portugal. You will need many trips to see it all! 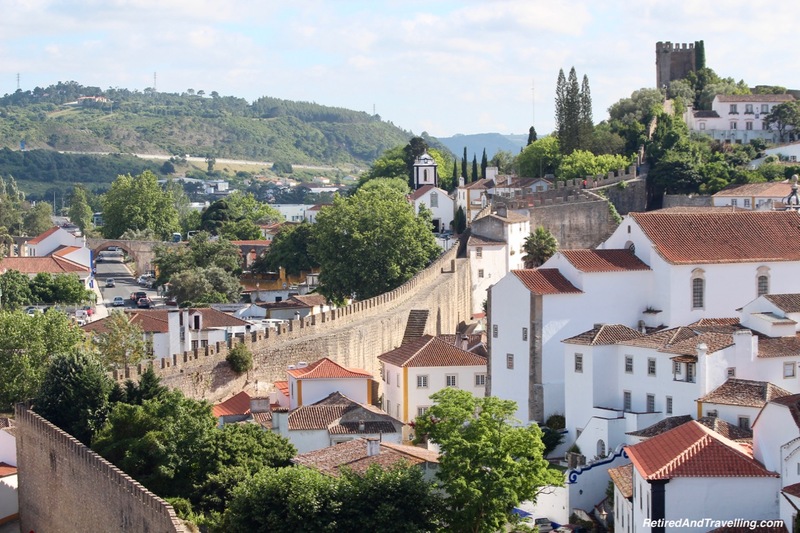 There are many large and small cities to visit in Portugal. 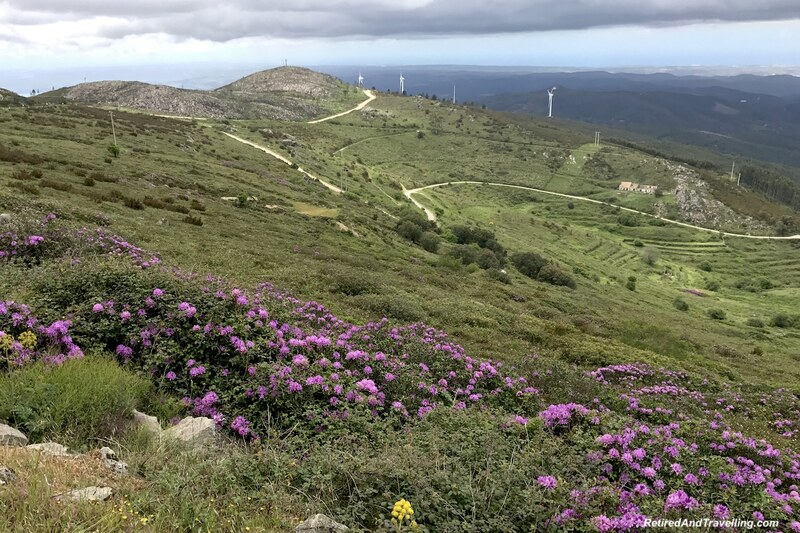 But there are also many ways to see the unspoiled beauty of nature in Portugal. 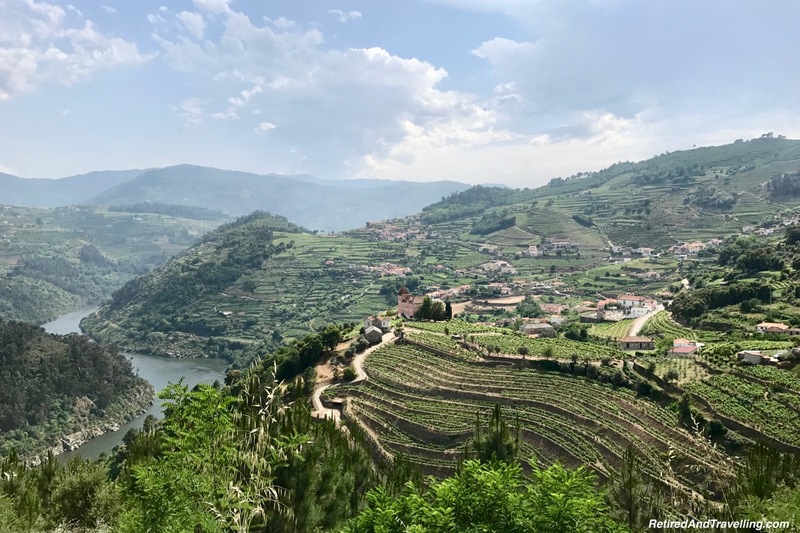 When we visited Porto, we headed up the Douro River Valley. Many people choose to take a cruise on the river. But we enjoyed driving along the Douro River. The view of the river and the valley was a sight we will not forget. We stayed high above the river and looked down every day at the heart of wine country. On our trip to the Algarve we got an array of stunning cliff views every time that we hit the water. But the most amazing natural sights we saw were when we visited the Azores for 10 days. These volcanic islands in the North Atlantic were truly stunning. Volcanic ash created magnificent shorelines. Volcanic calderas were green and lush. Thermal pools were everywhere. Mountains stood guard over the harbours. 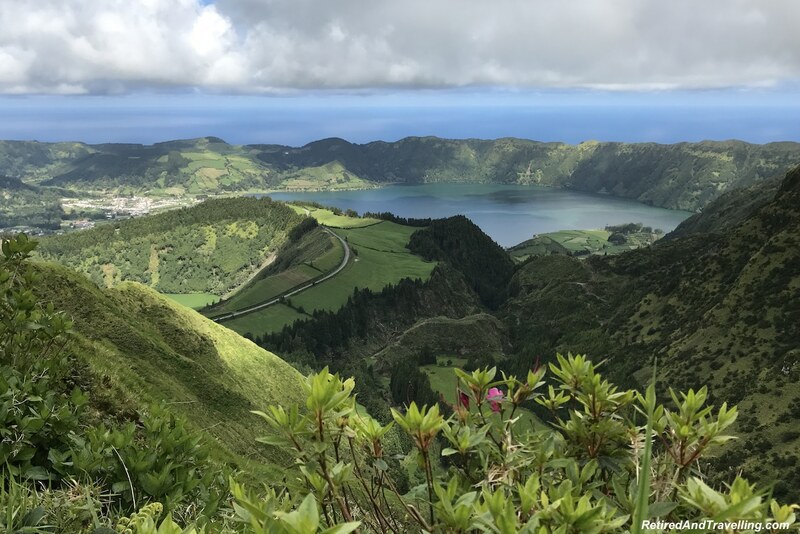 From island to island, the natural volcanic beauty of the Azores got better and better. The natural beauty is one of the most compelling reasons to visit Portugal. 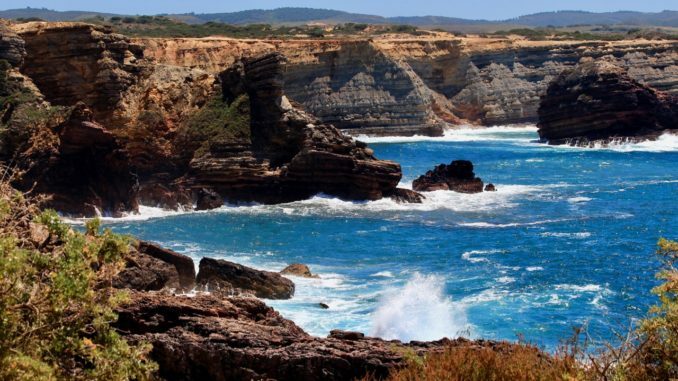 Portugal has 1,115 miles of coastline. And along that coast we found some of the most awesome beaches. Small fishing villages like Nazaré offered long stretches of sand beaches. There were beaches really close to Lisbon as we headed to Cascais. 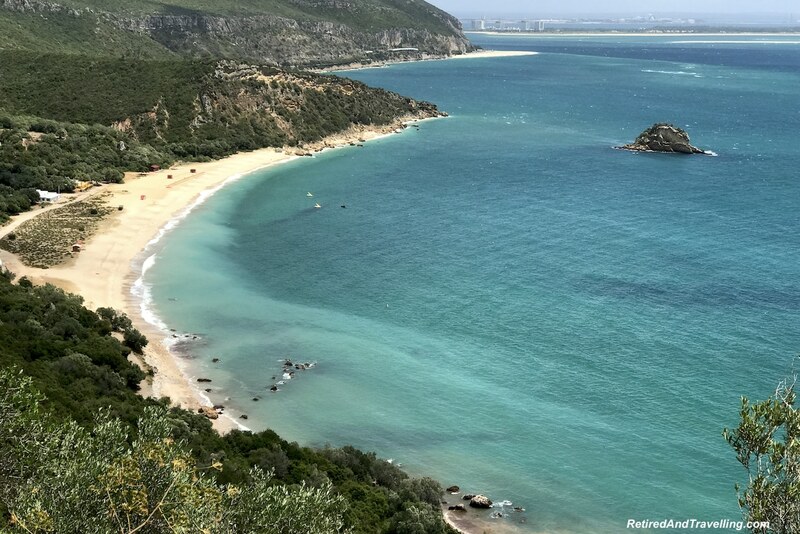 When we headed south from Lisbon, we found find a stretch of beaches from Sesimbra to Setubal that were world class. The big beach resort area in Portugal is in Algarve. We found stretches of long sandy beaches. But we also found the greatest beaches tucked under the stunning cliffs. 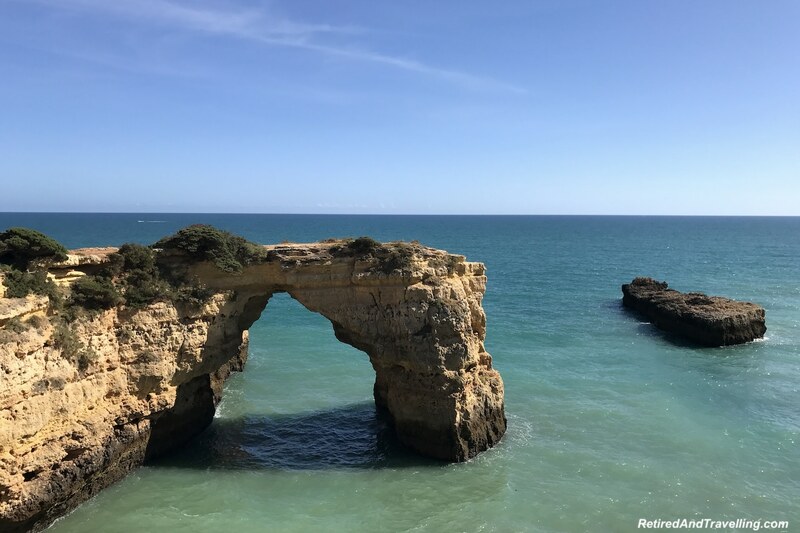 If you enjoy the beaches, put this down as one of your reasons to visit Portugal. Most people think of Lisbon and Porto when they think of Portugal. 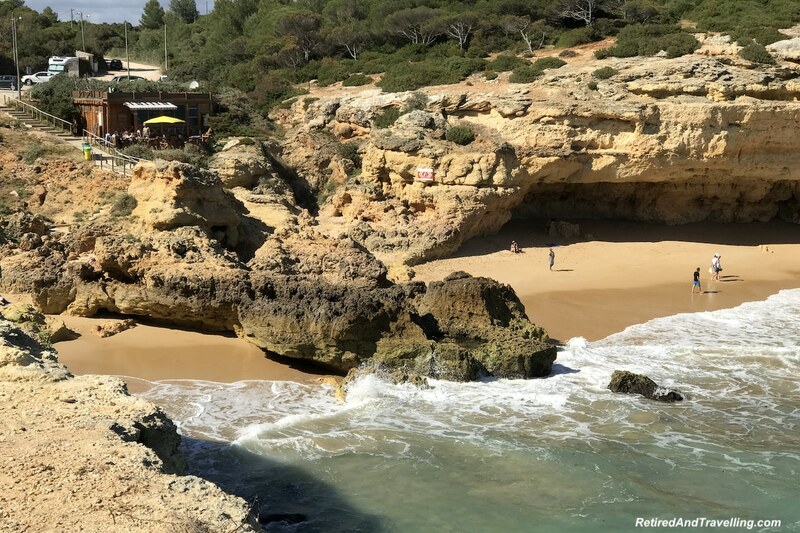 They may even have the Algarve on their list for Portugal. 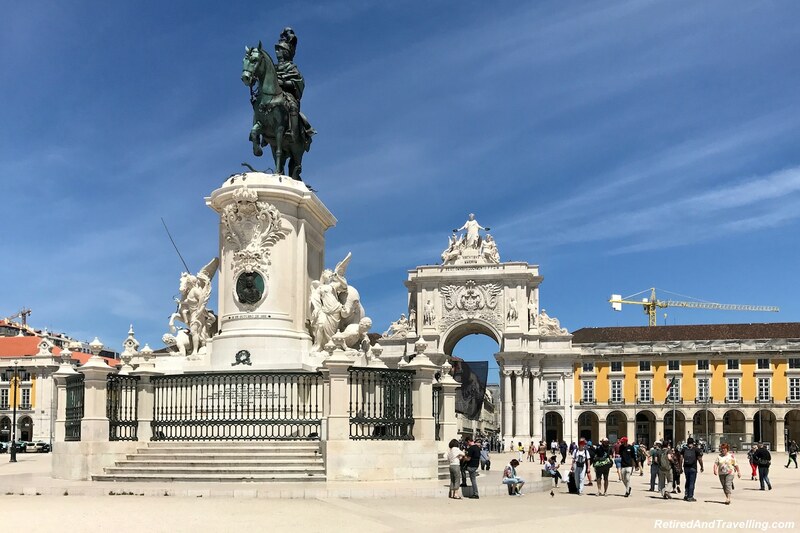 These are all great destinations in Portugal but we found so many more places to see. 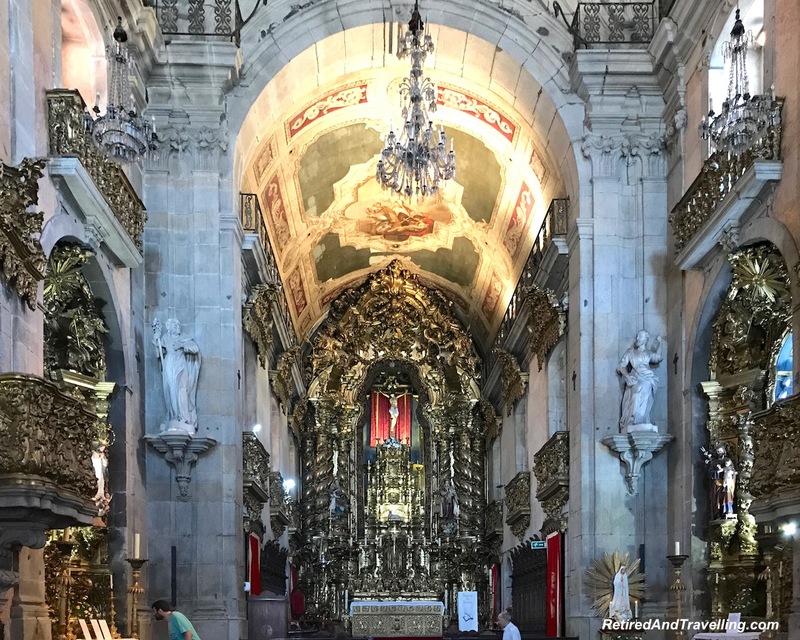 If you travel between Lisbon and Porto, there are so many great stops along the way. We spent a weekend in the university town of Coimbra and found the cutest little miniature view of Portugal. 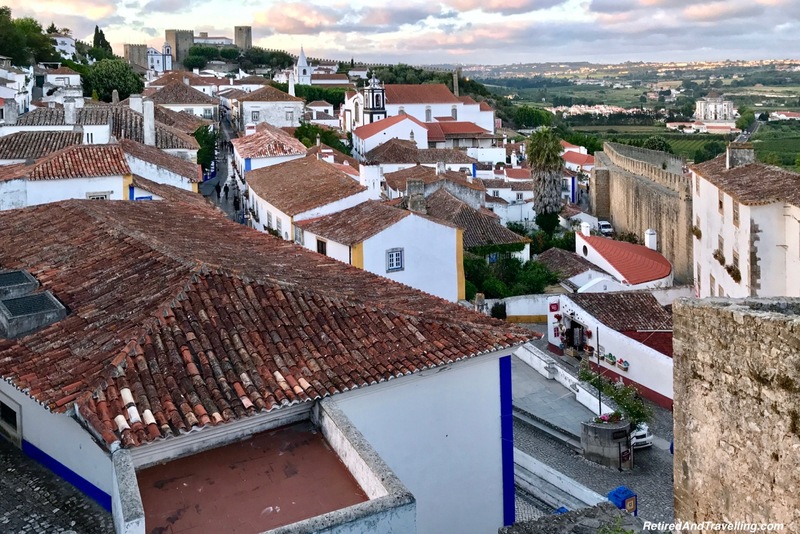 Several days visiting the walled town of Obidos enchanted us. When we travelled south to the Algarve, we spent a night high in the hills in the small town of Monchique. This was so very different from much of the rest of this region. The choice and variety of places to visit is a top one of the reasons to visit Portugal. We loved the food in Portugal. 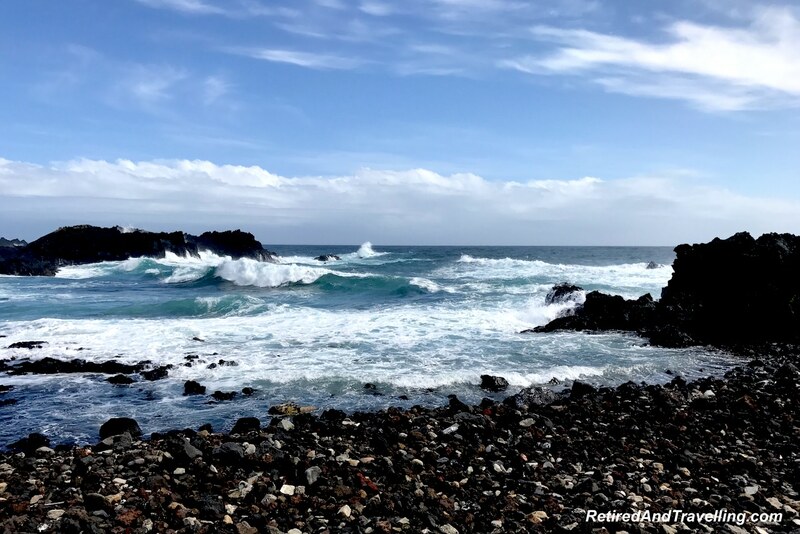 With miles of coastline, we got fresh seafood everywhere we went on mainland Portugal and in the Azores Islands. It was not long before octopus became my favourite seafood. It was cooked to perfection in Portugal and served in massive portions. 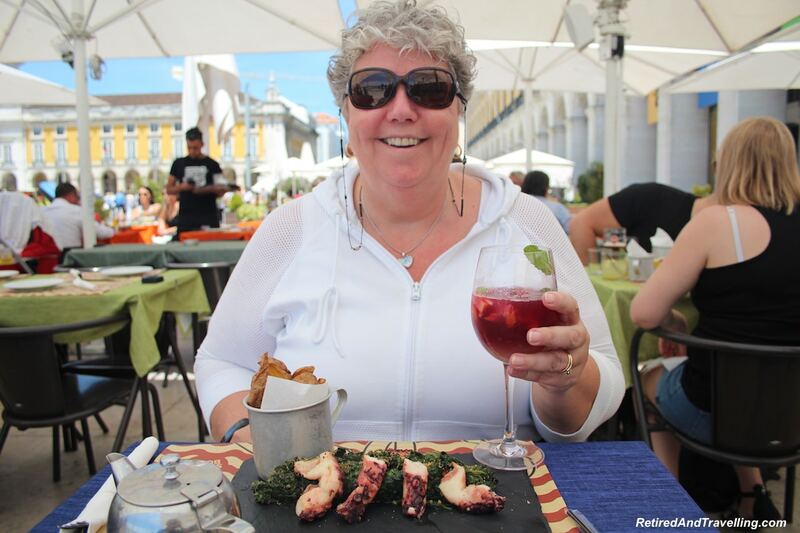 I ate so much octopus in Portugal I was sure I would go home with an extra arm. If seafood was high on our list, then the traditional custard tarts (“nata”) were up there as well. We had heard much about the famous custard tarts from a fellow travel blogger (Cathy @RoarLoud). She warned us that these would be addictive. We spent a lot of time trying to disprove her. But we lost. 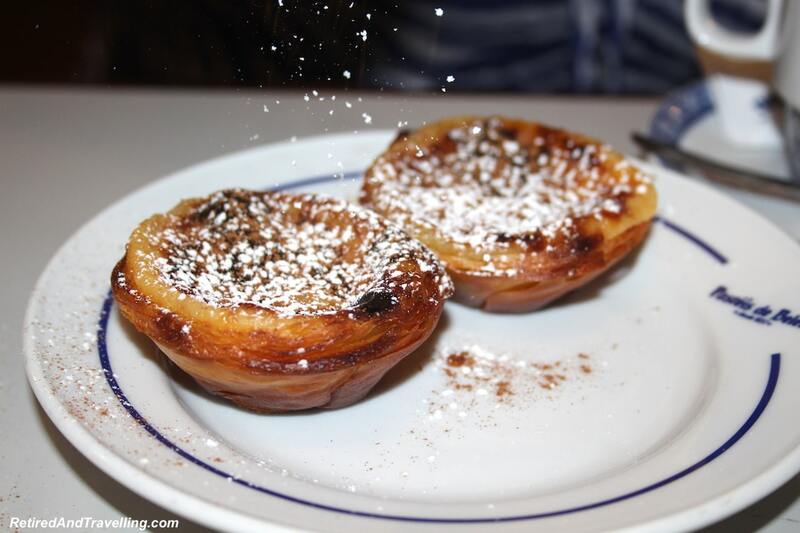 Beware that if you try the tarts in the original spot in the Belem area in Lisbon, you will be spoiled forever. We drank local wine and beer when we visited Portugal. But we made sure to try the local specialties as well. 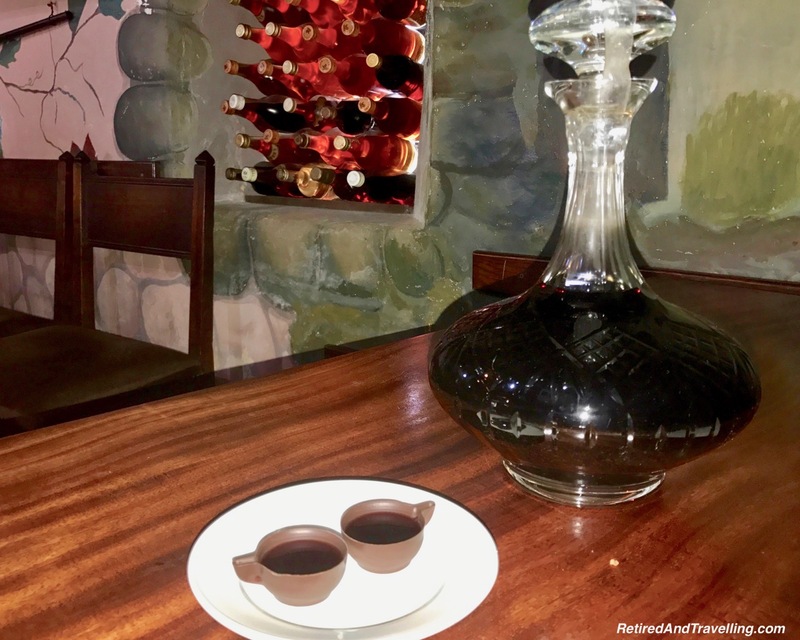 When we visited Porto and stayed in the Douro River Valley, we tried the port wine. 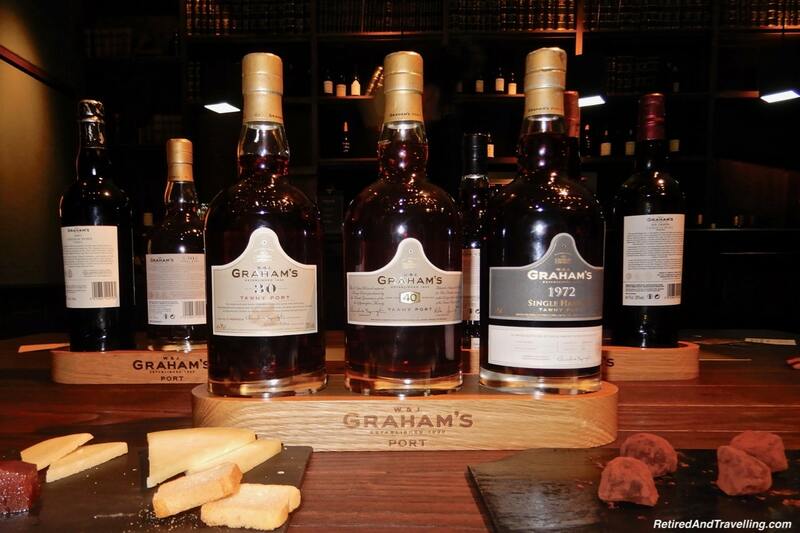 A tour of a port house in Porto let us do a perfect chocolate and port pairing. We learned how important aging was to make a great sweet treat. 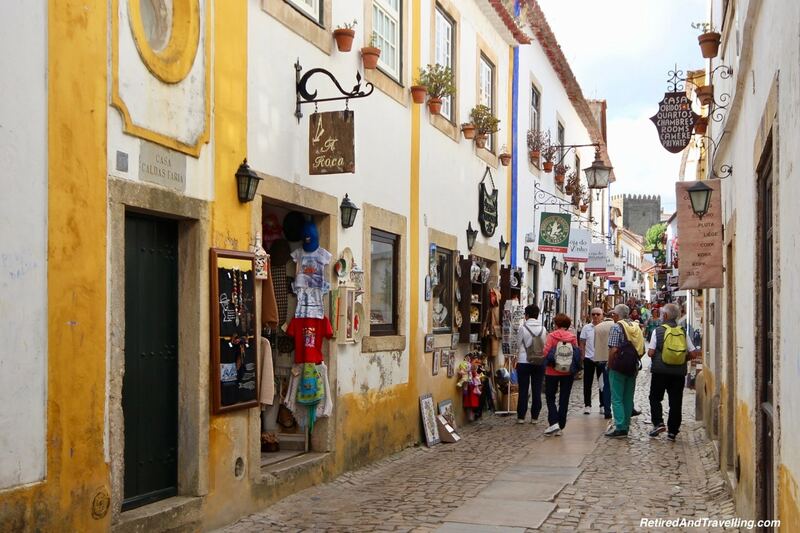 The walled town of Obidos is known for the cherry liqueur called Ginja. While you can find it when you travel elsewhere in Portugal, you really want to try Ginja in Obidos. Tourists tend to drink it in dark chocolate cups. We ate the cups and then had the Ginja straight. Very delicious! No matter where we went, we got recommendations for great food and drink to try in Portugal. Food and drink is one of the absolute reasons to visit Portugal. We have spent a lot of time in Portugal and it is still high on the list of places we will return to. There are still new places to explore and many favourites to re-visit. We found the people of Portugal to be lovely. They were so delighted to share their country with us. Every stop added new places to visit. We had the best customer service experience we have ever had when we stayed at the Intercontinental Lisbon! Portugal is now a very popular destination. It is now easier than ever to fly to Portugal. The fast tourist growth has resulted in some growing pains. And it may be expensive at times of the year. But there are still many reasons to visit Portugal. And if you visit once, you will want to go back again. 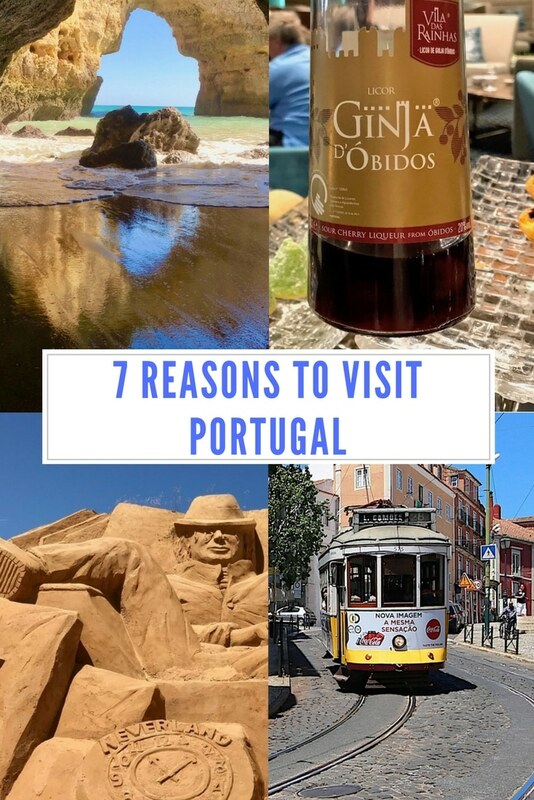 What is the top of your reasons to visit Portugal? Hi! As a Portuguese couldn’t be more proud of the presentation you did of my country. So glad that you love our land and can’t wait to come back. There are still so many to see. 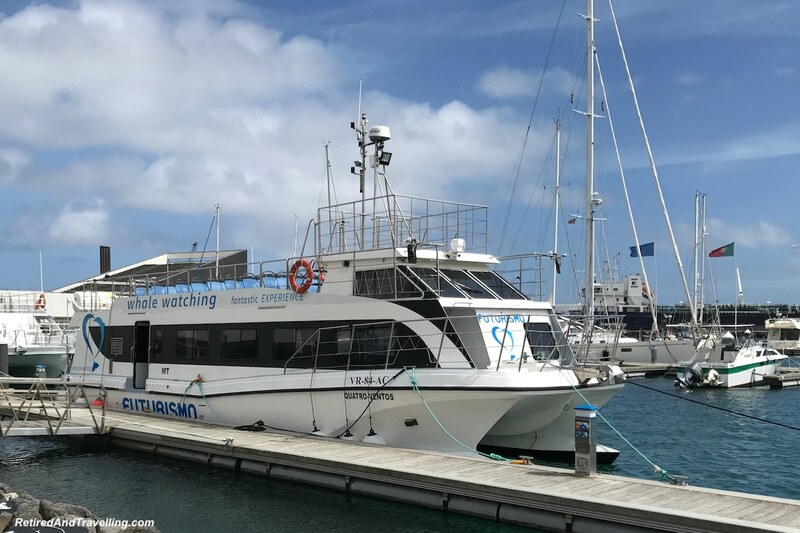 😉 I definitely recomend the Madeira island and, in the main land, The Gerês mountain, in the north, and the Buçaco, in the center. Where you able to go there? They are magnificent sites. Also, love the fact that you like to see the cities from another perspective. You are right, our hill towns are perfect for that. I am so pleased that I read this I am planning a trip to Portugal later this year and I have bookmarked this page. There are some great ideas on what to see and do. I didn’t know about Obidos, but I think that I will have to visit just to try the cherry liqueur. 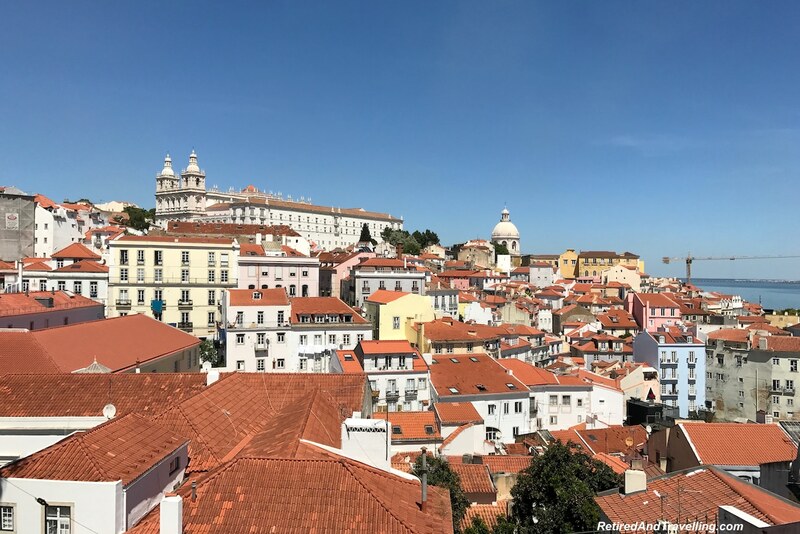 Portugal has been on our bucket list for a while now and we almost visited this summer, before changing plans last minute! 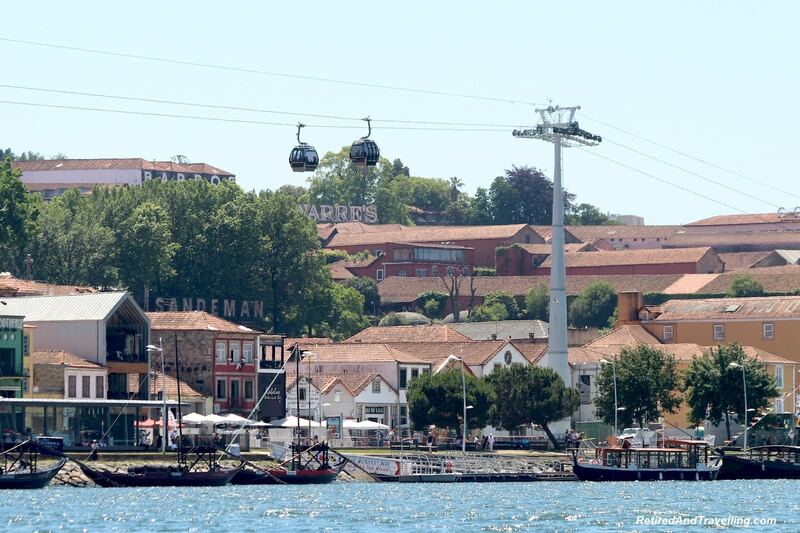 What I didn’t know is that they have cable cars just like in San Francisco! You’re right that going from point A to point B is way more fun when you have a panoramic view! Stunning photos! 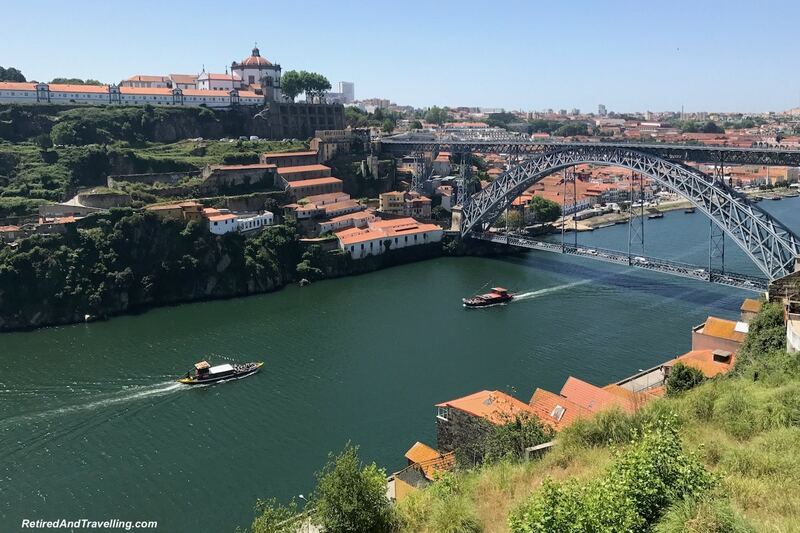 Portugal has been on my list for so long, and your pictures are a great example of why! Such interesting contrasts from architecture, graffiti, sand sculptures, and natural landscapes. The intricate blue tiling is such a unique design in Portugal, interesting how they decorated the inside and outside of their architectural masterpieces with it. Look forward to going! bookmarked! That are the perfect reasons to make us tempting to visit Portugal. I can see why 5 were less. The tile work is so beautiful. Cruising the river crosseding bridges; roaming the city at night; living surrounded by hills is what we would love to do. Will bookmark your guide for the reference. Thanks for writing it down. Portugal is indeed very scenic. I would love to ride the trams in the city. 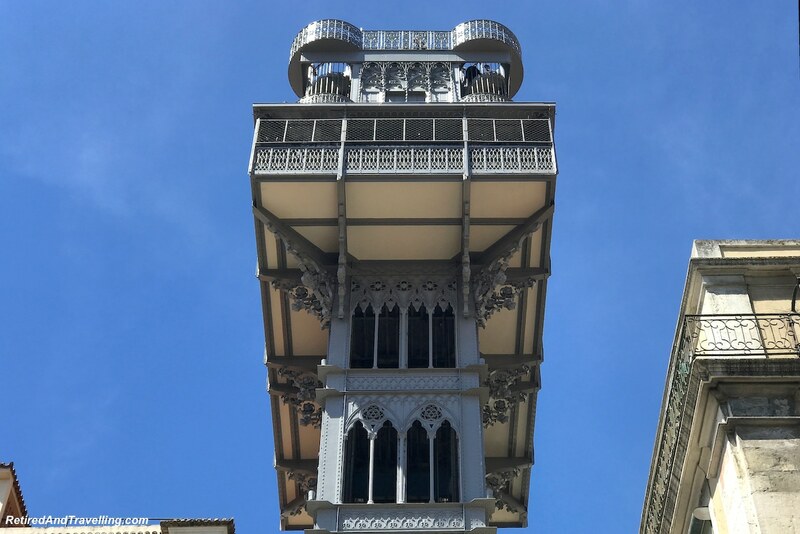 I am amazed by the architecturally wonderful buildings in the capital Lisbon. Being interested in history, I think I am going to love the capital even more. Porto is on my list, and now, you introduced me to Algarve, which looks absolutely stunning! Hope to visit this country soon! My cousin has been calling us to visit Portugal for ages but have not been able to go. Now you have given me so many more reasons to head there. The history in particular is what attracts me. I think I would also, like to go for the architectural delights here – the blue and white tiles that have even reached India. Got to plan soon. Portugal is pretty stunning, actually one of the hidden gems in Europe. I am planning to go, for me combination of culture and stunning beaches is the most attractive. I must check the one around Sesimbra and Setubal that you mentioned! Hello- wonderful post. I’m planning a trip in January. Curious when you went and how you got around the country- did you drive or take a train or perhaps both?